The original plan was to attend the fish fry at Benedictine High School on Friday. They serve a fried fish dinner (2 cod pieces), baked fish dinner (1 cod piece), shrimp dinner (9 pieces), or pierogi dinner (8 pierogies) for $8 per dinner ($7.50 for seniors), which includes a baked potato or french fries, coleslaw or applesauce, bread, condiments, and coffee, tea or milk. They also serve clam chowder, fried clams, grilled cheese sandwich, macaroni and cheese, and onion rings. I was excited to try it, but all of my friends were less excited (or sick of fried food) and bailed. I didn’t feel like going there and facing a crowd by myself, so I reached out to a friend to meet me somewhere different. 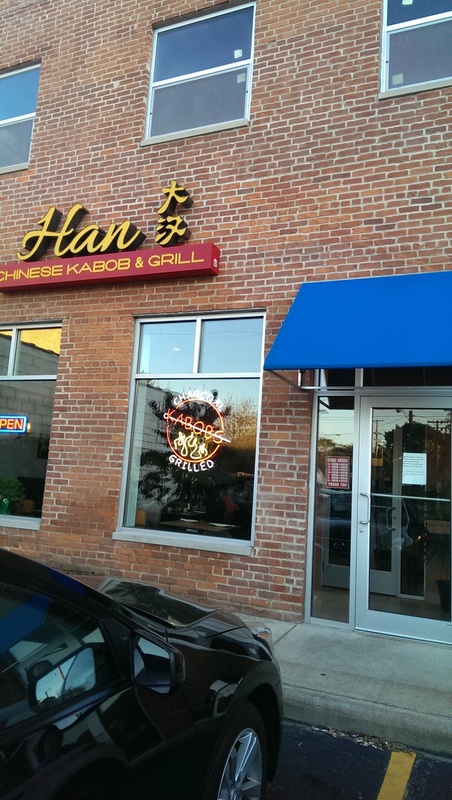 I had fond memories of the sweet and sour fish at Han Chinese Kabob and Grill on Payne Avenue, and I have been meaning to get back there to order it again. Since I do not need to observe Lent (I just do it for the love of fried fish) I also ordered the wonton soup, which includes pork dumplings. It is enough to share, so I shared it with my friend. I also ordered some less-than-exciting steam buns on a kebab (seriously boring – do not recommend). She ordered some pot stickers and the Orange Beef Tenderloin. 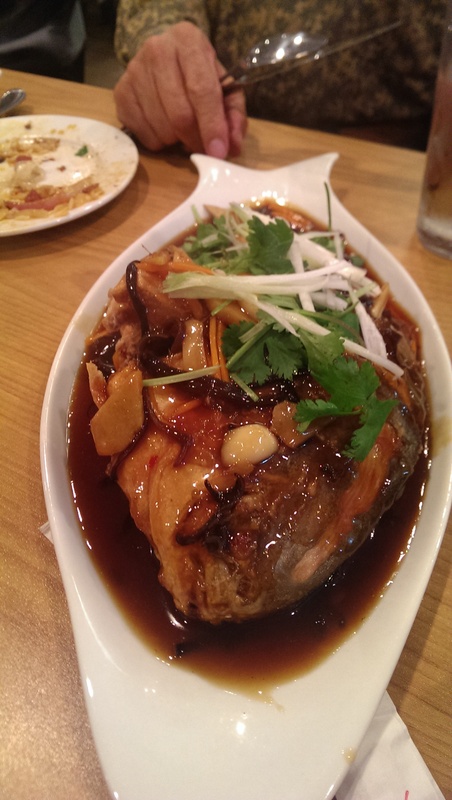 There are two sweet and sour fish (whole fish) on the menu, and I could not remember which one we had ordered last time. I explained that there were ginger and aromatics and that it was a whole fish. The servers suggested I order the Sweet & Sour Crispy Fish. I was a little skeptical that it was the one I remembered – and I’m not sure if it was, but that certainly did not detract from my absolute enjoyment of the dish. First of all, it was a beautiful sight, with the tail curled up. It was lightly fried and served over a luscious ginger and garlic sweet and sour sauce. This is not the gloppy, bright orange sweet and sour sauce you find at most Chinese restaurants. It is mouthwateringly good. I had to keep removing small bones, but I think that’s because I am less adept at deboning a filet. The meat inside was moist and succulent. I ate the whole thing and had no leftovers, which is rare for me. The cheeks in particular were a treat, and my friend also enjoyed her couple of bites. I likewise enjoyed the bite of her orange beef tenderloin entree as well. I have a feeling we ordered the Sweet and Sour Mandarin Fish (click to see the photo), but I will just have to order it to try it. That fish was easy to debone and just as delicious. I am just not sure if it was fried, and I seem to remember an eye – although it could have been a clove of garlic. In any event, I do not regret ordering it, because it was delicious and hit the spot perfectly. The place had a nice amount of traffic (the booths in the back appear to be very popular choices), and the servers were very friendly and accommodating. So if you are looking for a different kind of meatless Friday, consider the fish at Han Kabob.